GearGuyd > Cool > Eureka! 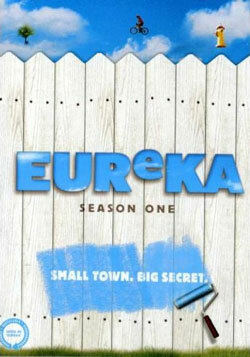 Eureka is a TV show about a quirky town populated by scientists and engineers seeking to push the envelope of technology. Most episodes are focused on the experiences of the town sheriff who accidentally found the town when transporting his runaway daughter as a U.S. Marhsal. Of course with a town full of geeks and geniuses, something always goes wrong. Eureka is currently at the beginning of its fourth season. My wife ordered seasons one and two on DVD for me as a birthday gift, and I’m falling in love with the show all over again while her budding appreciation of the show continues to grow. If you like Science Fiction, you’ll probably love the show. Go ahead, give it a try. Eureka airs on Fridays on SyFy at 9pm ET.